Sir Alex Fergusson wanted to remove Liverpool from the helm of the top tier of England's League and that was exactly what he did. He guided United to win their 20th Premier league title, surpassing Liverpool's 18 league titles. His charisma, his man management skills, and his tactics took Manchester United to new heights. He is considered to be the godfather of many Manchester United players. He made Old Trafford into a fortress and Anfield was gradually moving into the shadows. Since he retired after 2013, United have looked anything but a mid-table club. Their performances season after season have been criticized heavily by the fans. Here are few of the reasons why United are not the team they used to be anymore and why they are far off from being a title challenger. When Sir Alex left, the new manager, David Moyes, was left with a bunch of players who were well past their prime. The likes of Vidic, Ferdinand were ageing. Rooney was also nearing his thirties. This comes down to United's lack of a solid transfer agenda and their willingness to play with the same squad year in and year out. It was Sir Alex's brilliance which led United to glory all of these years, but for a new manager, it was a daunting task to face. The season under David Moyes was a disaster and it was the beginning of United's downfall. The threat that surrounded Old Trafford for other teams, was gone. 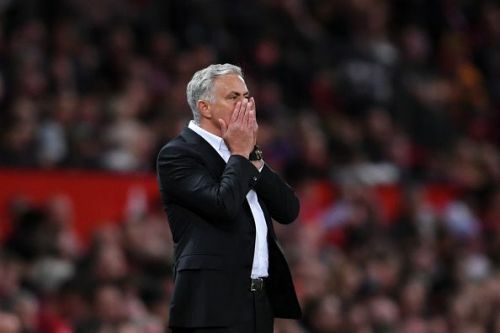 Previously, teams used to visit Old Trafford with a fear and hope of getting at least a point, but now they are confident of getting all three points in the red half of Machester. Even the current bunch of players with the likes of Young, Valencia are well over 30. The game has changed a lot in recent times. Players are fitter, stronger than ever before. Manchester City overhauled their squad when Guardiola arrived with all the old legs leaving the club. But Manchester United seems to have forgotten how to achieve success in the Premier League. Players like Zlatan are undoubtedly good, but a red flag that should have been noticed, was his age. Bringing him to United was never going to be a long term solution.